Harmontown, composed by Emoto’s Ryan Elder, has been picked up for national distribution after premiering last March at the Austin Film Festival SXSW. 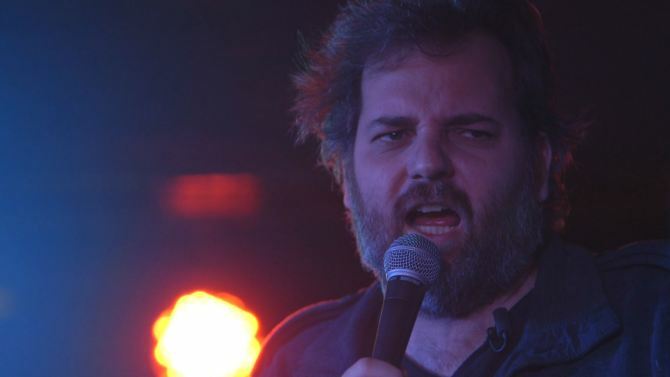 The documentary follows writer/producer/performer Dan Harmon as he tours America hosting an improv comedy show along with co-host Jeff Davis, podcaster Erin McGrathy, and Dungeon Master of an ongoing game of Dungeons & Dragons Spencer Crittenden. The tour originated as a weekly live show and podcast out of Meltdown Comics in Hollywood. The documentary is due to be distributed in early October. Check out the Harmontown website for more information and the latest updates.